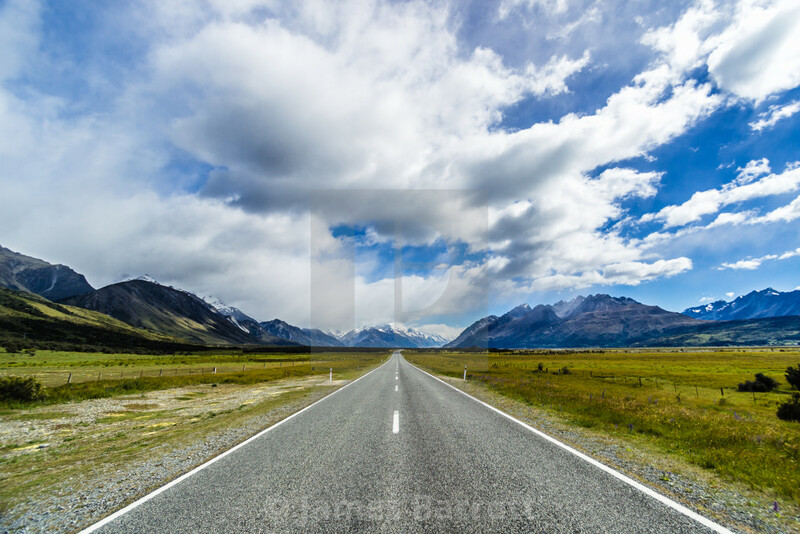 The road to Mt Cook. Cycling toward Mt Cook on the south island of New Zealand. N.Z's highest mountain.